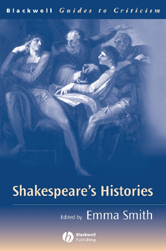 This Guide steers students through four centuries of critical writing on Shakespeare's history plays, enhancing their enjoyment and broadening their critical repertoire. Guides students through four centuries of critical writing on Shakespeare's history plays. Covers both significant early views and recent critical interventions.